In Mongolia, visas are required by most visitors wishing to travel to the country for a holiday or for business related purposes. 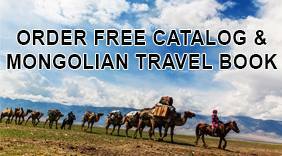 Mongolia does make some exceptions and offers visa free travel to a small selection of countries. Nationals of the USA visiting for the purposes of tourism may enter Mongolia without a visa for up to three months. Nationals of Cuba, Malaysia, and Israel may visit for one month, nationals of the Philippines may stay in Mongolia for up to three weeks, and Hong Kong and Singapore nationals may visit for two weeks. Beyond these concessions, all visitors to Mongolia must apply for a visa. In Mongolia, tourist visas are issued for a maximum period of 30 days within a period of three months. Mongolian tourist cards may be extended on further application by an additional 30 days. As with tourist visas, or visit visas in many other destinations, tourist visas are granted solely for the purpose of entering Mongolia for a holiday and do not permit their holders to work in Mongolia. Mongolian business visas, like tourist visas, are issued for a maximum of thirty days within a three-month period from the grant of the visa. Once again, these may be extendable for an additional thirty days. Business visit visas of this kind do not constitute a work permit or an employment visa and do not permit their holder to engage in employment, whether paid or unpaid. However, business visas are ideal for those who wish to travel to Mongolia for business activities such as attending business meetings and conferences. All Mongolian visa applications must be accompanied by a valid passport from the country of residence as well as proof of residence if the candidate is living outside their country of origin. The validity of the passport must extend beyond the grant of the visa. Candidates will also need to provide evidence of their ability to financially support themselves during their time in Mongolia and must also provide onward or return travel documents. Where candidates are applying for a business visa, the same requirements must be met with the addition of a letter from the applicant's employer in their country of residence and a letter from the associated business contact in Mongolia. The letters must detail the duration and purpose of the visit and must establish who will be financially responsible for the visa applicant during their time in Mongolia. Mongolian tourist visas and business visas are short-term visa services, which oblige their holders to return to their country of residence on or before expiry of the permit. Although the initial grant of thirty days can be extended for an additional thirty days, this cannot be extended again and does not provide any opportunity to apply for long term leave to remain. There is therefore no specific provision made for the spouse or partner and/or dependent children of an applicant to travel with them and all such dependents who wish to visit Mongolia will need to apply for a visa in their own right.